Good morning, friends. 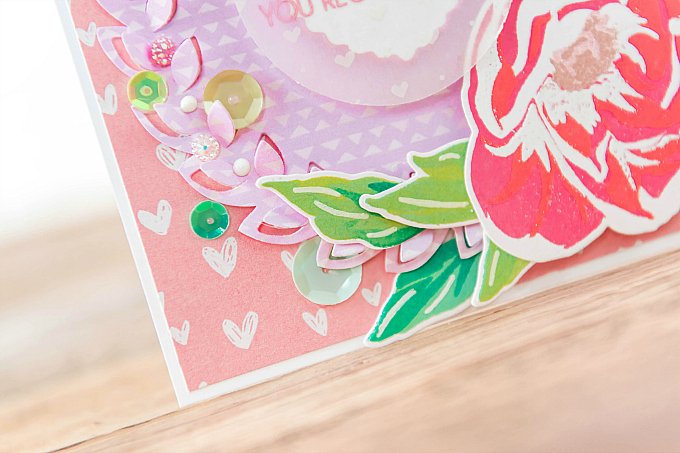 I'm so excited to share this colorful card today! I could really use some sunshine and warmer days; it's been incredibly cold here the past few weeks, dipping down to a whopping -50! For my friends South of the border, it just so happens to be the roughly the same temp in Fahrenheit. EEK, right? This is also right about the time that I start to be done with winter. I think back to my childhood in Europe, and February was always the month that rains would start to bring about beautiful flowers. By March 8th - International Women's Day - which was a hugely celebrated holiday, I clearly remember warm, sunny days, fields full of flowers, and mom pulling out pretty, colorful dresses. Accompanied, always, by a pair of brand new shoes, as the boots would get stored away for another year. Despite living in this Northern climate for a while now, this memory is something I just can't shake! I guess my internal seasonal clock might just always be stuck to that childhood time. Here, we expect spring around the end of April/beginning of May, so I suppose today's Spring-spired card will just have to do! 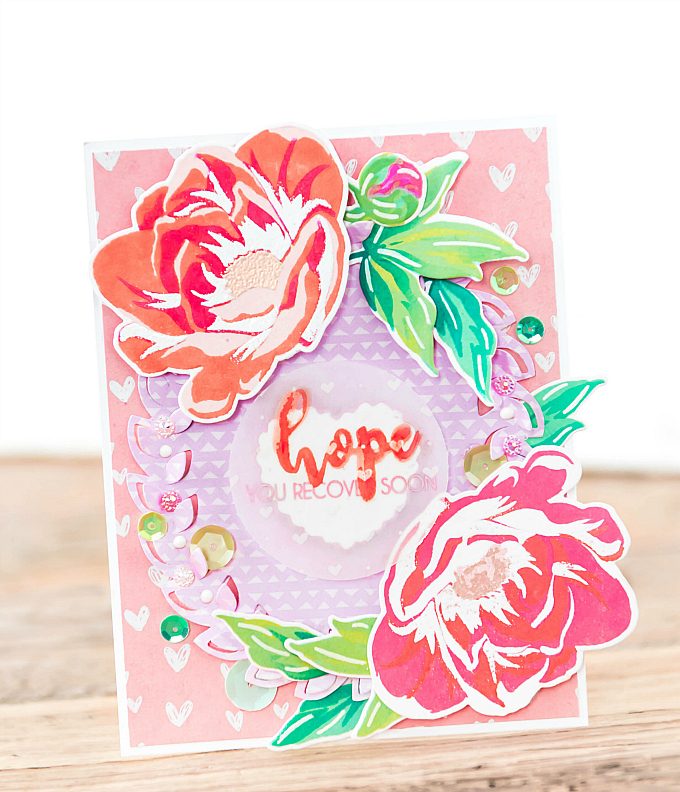 I used a few favorite supplies on this little number, including Altenew's Hope stamp and die set, working with a really fun ombre technique when stamping the leaves. See how the stem and lower part of the leaf is darker, and then it softly fades? I only ink up the bottom section of the stamp, and then use my foam to blend out the ink right on the stamp, before stamping. This gives the ink a softness that stretches out to the tippy top of the leaves. For the center, I stamped my sentiment onto some vellum, but as you can see it sort of got a little bit splotchy, since I was working with Oxide ink. I don't mind all that much, and in-person it looks quite distressed. 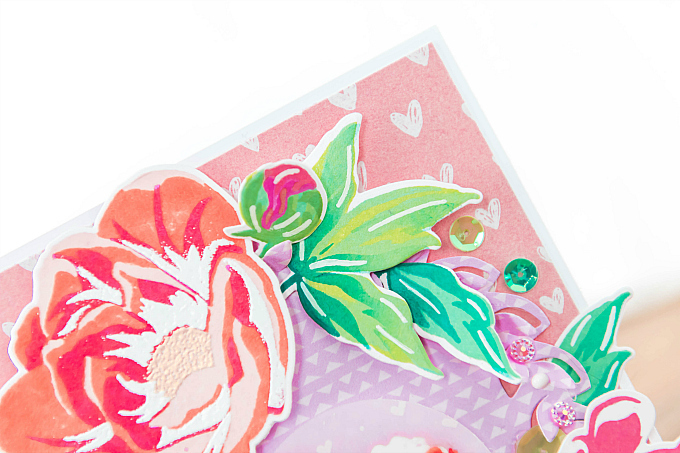 Below all the florals, I added a fussy-cut oval, which I first die-cut using the pretty Oval Foliage die (sold out at SB.com, but you can find it here). I popped up some of the bitty leaves, and added sweet sequins. I hope you enjoyed my Spring floral tribute and trip down memory lane! Thanks for visiting, friends. This is lovely and brings thoughts of spring! Another of your dreamy little works of art! HI Ivana!!! Guess who?? 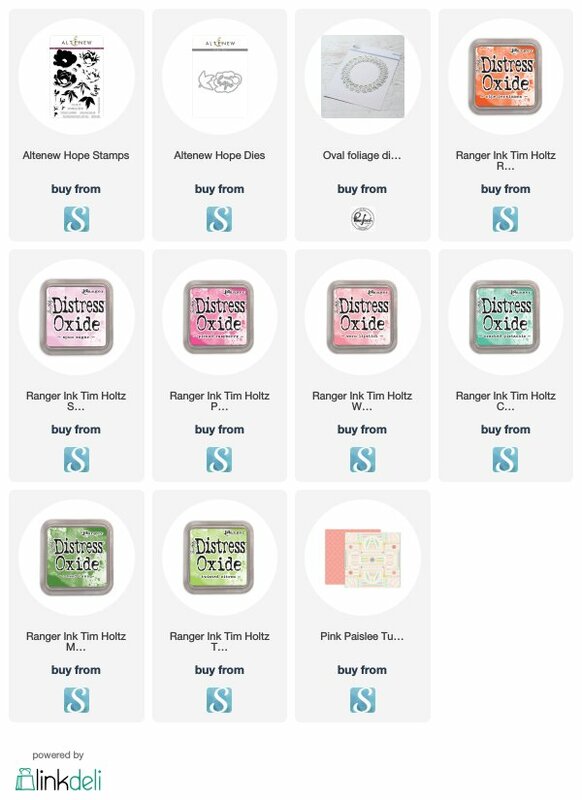 I've finally fixed my blogger issue, and happily received this beauty by email today!! YAY!!! yes, this is just the Spring-y bit of joy I needed today - we're no where close to Spring here in the Mitten state! Looks like I have some beautiful catching up to do, so I'll say goodbye for now - thanks for always sharing your cards on IG, too!